bumps and bruises respond well to this oil. Arnica (Arnica montana) has been the standby for healing soft muscle damage for hundreds of years. Native to Europe, it is said in legends that arnica was first discovered when a herder observed the goats clambering to find the arnica plant after falling or slipping and injuring themselves. Since the1500's arnica has been used as the remedy of choice for sprains, bruising and muscle injury as a topical application. We've infused Anica into Extra Virgin Olive oil which has proven to be a natural anti-inflammatory. *Use arnica to help with arthritis or other types of inflammation. 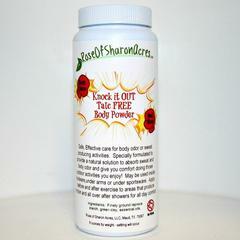 Apply immediately to help with sprained muscles, bruises and varicose ulcers. *Arnica can be used on swelling due to fractures, dislocations, trauma to soft tissue. 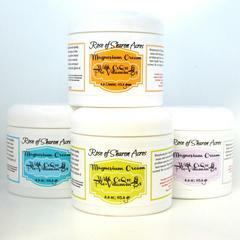 *Apply arnica prior to athletic events; it can prevent your muscles from getting stiff if you overwork them. Pregnant and breastfeeding women should not use arnica. Arnica should not be applied to open sores or broken skin. If skin becomes irritated, discontinue use - some may be allergic to the arnica flower. 3.5 ounce roll on bottle.